James Abram Garfield was the 20th President of the United States of America. He was born in Cuyahoga County, Ohio on November 19, 1831. He ran for President on the Republican Party ticket and began his term on March 4, 1881. He was assassinated by Charles Guiteau on July 2, 1881, then died in office on September 19, 1881. This page provides links to essays on James Garfield, or to events during his presidency, by William P. Meyers, as well as links to external Web sites with related information. 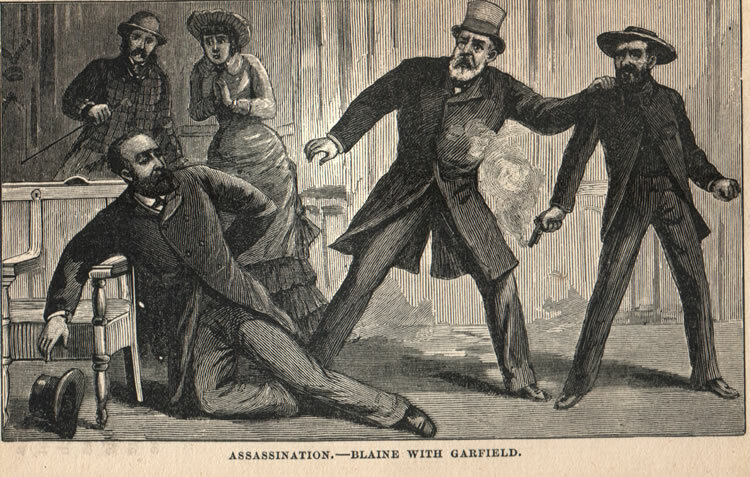 Crazy Republicans with Guns and Aspirations [July 3, 2011] In which James Garfield is assassinated.